From the Batman v Superman Dawn of Justice collection by Herocross. Batman v Superman Dawn of Justice Batman Hybrid Metal Figuration Action Figure. From the Batman v Superman Dawn of Justice collection by Herocross. 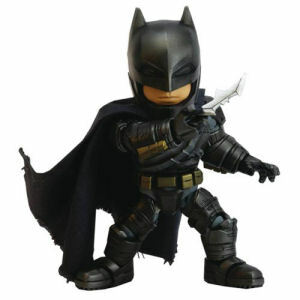 Batman v Superman Dawn of Justice Batman Hybrid Metal Figuration Action Figure. Action figure measures 5.5 Inches tall. Metal alloy action figure features 20 points of articulation. Includes 6 interchangeable hands - batarang - grapnel gun. Herocross Batman v Superman Dawn of Justice Action Figures shipping from Canada. No Surprise Border fees or Customs!